Georgia's Top Rated Tint Shop | More Than 500 5 Star Reviews! Glass Tiger Tinting wins Best of Gwinnett for 2015, 2016, and 2017 in the Automotive Customizing category! We are also one of the winners for the "Best Of" list on Kudzu for 2014 in the glass category! 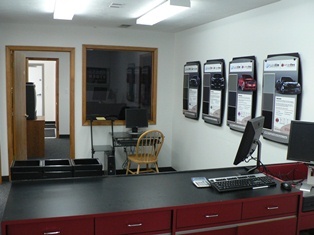 We are very proud of the window tint reviews that we have. When you read through the reviews, you will get a feel for the expertise that we have, and how we treat our clients and take care of their cars. Every person that does business with Glass Tiger is a valuable resource for referrals and repeat business, and we will break our necks to make sure you have a pleasant experience with us. Below are some links to review sources you can go to and check us out. These are reviews made by real customers that have had their car windows tinted here at Glass Tiger. We hope that by reading these reviews, you will feel comfortable with giving us a shot at earning your business. At the very least, these reviews will help you make a qualified decision about using our company, and you can rest assured that we will do our very best to make sure that you are another satisfied customer!